I have been Paleo for 3 years, and in that time have had one struggle.. Desserts. I am the queen of ice cream, cakes and cookies. And as much as I love to bake, Paleo baking hasn’t come easy and to be honest I just revert back to what I know, flour – white, sugar- white and butter (which isn’t bad). It was my Paleo burden, so when the lovely Paleoful team offered me the opportunity to try their line of mixes, I said YESSS! 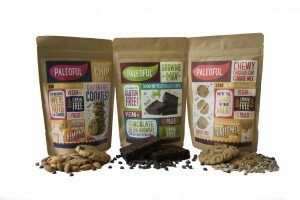 Located in Salt Lake City, Utah, Paleoful was born in November 2014 out of a love for the paleo diet. Founder Lauren Montalette had struggled for years with many food allergies and found that the only thing that worked with her dietary needs was following the paleo diet. Montalette loves that the paleo diet is based upon real food, with no preservatives, reﬁned sugar, gluten, or grains. After graduating from college, Montalette decided she wanted to turn her love of the paleo diet (and love for baking) into a business that could give others the opportunity to have delicious, easily accessible allergen-friendly treats. 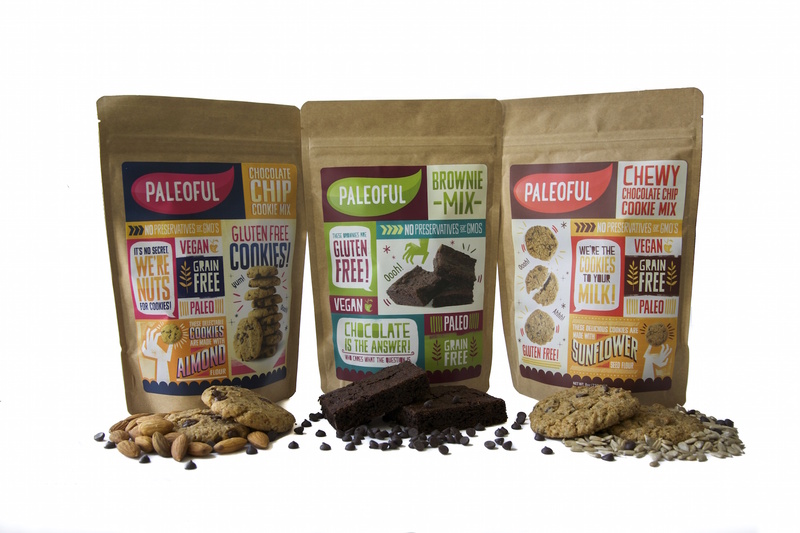 Paleoful’s entire line of products is paleo-friendly, gluten-free, grain-free, vegan (no eggs or dairy), soy-free, yeast-free, corn-free, preservativefree, and non-GMO. 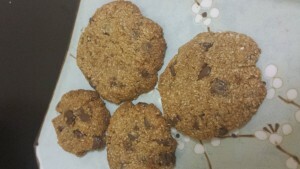 Paleoful even has a cookie mix made from sunﬂower seed ﬂour instead of nut ﬂours for those that are sensitive to nuts. We received the Chocolate Chip (my favorite mix) and decided the directions were easy enough so CJ took over. Unlike many other paleo mixes, Paleoful didn’t require that I used almond milk (which I dislike) and gave me the choice of light tasting oil, we chose almond oil. The mix was little grainy but when we tasted it it was very close to a traditional cookie dough. And in less than 30 minutes we had chocolatey, mouth watering, amazing cookies. The kids ate them so fast, I barely had time to snap any pictures. 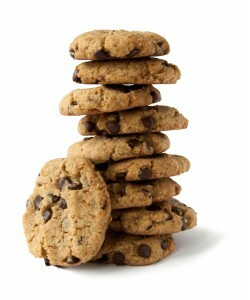 Paleoful has two other mixes that are worth a try, browines and a chewy chocolate chip, made with sunflower. The mixes can be found in a limited stores but the they are using their kickstarter to bring their product to stores near you. Click here to help them fuel their dream: Paleoful Kickstarter. I’m going to make them again so they can look like these!